岑杰. 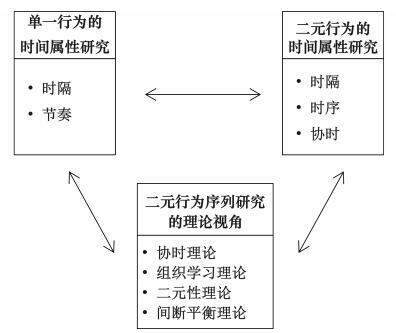 企业二元行为研究的范式之争及其超越:时间视角[J]. 外国经济与管理, 2017, 39(1): 3-14. Cen Jie. Paradigm Dispute of Firm Ambidextrous Behavior Research and Its Transcendence: A Temporal Perspective[J]. Journal of Weinan Normal University, 2017, 39(1): 3-14. DOI: 10.16538/j.cnki.fem.2017.01.001. Abstract: Firm exploratory and exploitative behavior implies the temporal dimension. This paper comes to the conclusions as follows:firstly, "time" is at the core of the two paradigms of firm ambidextrous behavior, namely ambidexterity and punctuated equilibrium; secondly, the core dispute of these two paradigms lies in the differences of "temporal assumption"and "the temporal model of the behavior", thereby leading to their different views towards related topics; thirdly, more comprehensive types of firm ambidextrous behavior should transcend the paradigms of ambidexterity and punctuated equilibrium, which could be embraced by the research topic of "sequence of ambidextrous behavior", including the research of temporal attributes of single behavior, ambidextrous behavior and appropriate theoretical explanation. These findings broaden the theoretical perspectives of firm ambidextrous behavior research, make up the inadequacy of two paradigms aforementioned on "time" dimension, and try to explore the new thought and directions of ambidextrous behavior research. 彭新敏, 吴晓波, 吴东. 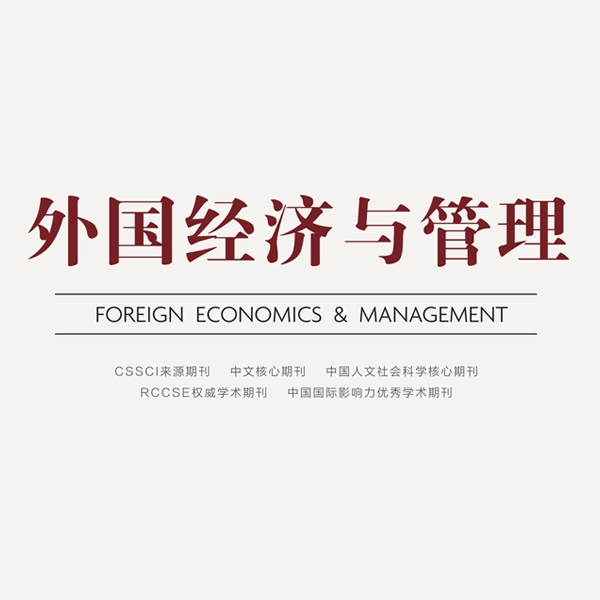 基于二次创新动态过程的企业网络与组织学习平衡模式演化--海天1971~2010年纵向案例研究[J].管理世界,2011(4) : 138–149, 166. 张钢, 岑杰. 组织适应理论扩展--组织时间适应研究探析[J].外国经济与管理,2012(8) : 43–49. Amis J, Slack T, Hinings C R. The pace, sequence, and linearity of radical change[J].Academy of Management Journal,2004,47(1) : 15–39. Ancona D, Chong C L. Entrainment:Pace, cycle, and rhythm in organizational behavior[J].Research in Organizational Behavior,1996,18(3) : 251–284. Ancona D G, Okhuysen G A, Perlow L A. Taking time to integrate temporal research[J].Academy of Management Review,2001,26(4) : 512–529. Brown S L, Eisenhardt K M. The art of continuous change:Linking complexity theory and time-paced evolution in relentlessly shifting organizations[J].Administrative Science Quarterly,1997,42(1) : 1–34. Burgelman R A. Strategy as vector and the inertia of coevolutionary lock-in[J].Administrative Science Quarterly,2002,47(2) : 325–357. Crossan M, Cunha M P E, Vera D, et al. Time and organizational improvisation[J].Academy of Management Review,2005,30(1) : 129–145. Dougherty D, Bertels H, Chung K, et al. Whose time is it? Understanding clock-time pacing and event-time pacing in complex innovations[J].Management and Organization Review,2013,9(2) : 233–263. Doz Y L. The evolution of cooperation in strategic alliances:Initial conditions or learning processes? [J].Strategic Management Journal,1996,17(S1) : 55–83. Gersick C J G. Revolutionary change theories:A multilevel exploration of the punctuated equilibrium paradigm[J].Academy of Management Review,1991,16(1) : 10–36. Gibson C B, Birkinshaw J. The antecedents, consequences, and mediating role of organizational ambidexterity[J].Academy of Management Journal,2004,47(2) : 209–226. Gupta A K, Smith K G, Shalley C E. The interplay between exploration and exploitation[J].Academy of Management Journal,2006,49(4) : 693–706. Han M. Achieving superior internationalization through strategic ambidexterity[J].Journal of Enterprising Culture,2007,15(1) : 43–77. Im G, Rai A. Knowledge sharing ambidexterity in long-term interorganizational relationships[J].Management Science,2008,54(7) : 1281–1296. Klarner P, Raisch S. Move to the beat-rhythms of change and firm performance[J].Academy of Management Journal,2013,56(1) : 160–184. Laamanen T, Keil T. Performance of serial acquirers:Toward an acquisition program perspective[J].Strategic Management Journal,2008,29(6) : 663–672. Lee H, Liebenau J. Time in organizational studies:Towards a new research direction[J].Organization Studies,1999,20(6) : 1035–1058. Liguori M. The supremacy of the sequence:Key elements and dimensions in the process of change[J].Organization Studies,2012,33(4) : 507–539. March J G. Exploration and exploitation in organizational learning[J].Organization Science,1991,2(1) : 71–87. Mudambi R, Swift T. Proactive R & D management and firm growth:A punctuated equilibrium model[J].Research Policy,2011,40(3) : 429–440. Mueller V, Rosenbusch N, Bausch A. Success patterns of exploratory and exploitative innovation:A meta-analysis of the influence of institutional factors[J].Journal of Management,2013,39(6) : 1606–1636. Nadkarni S, Chen T X, Chen J H. The clock is ticking! Executive temporal depth, industry velocity, and competitive aggressiveness[J].Strategic Management Journal,2016,37(6) : 1132–1153. O'Reilly Ⅲ C A, Tushman M L. The ambidextrous organization[J].Harvard Business Review,2004,82(4) : 74–81. Orlikowski W J, Yates J. It's about time:Temporal structuring in organizations[J].Organization Science,2002,13(6) : 684–700. Pérez-Nordtvedt L, Payne G T, Short J C, et al. An entrainment-based model of temporal organizational fit, misfit, and performance[J].Organization Science,2008,19(5) : 785–801. Raisch S, Birkinshaw J, Probst G, et al. Organizational ambidexterity:Balancing exploitation and exploration for sustained performance[J].Organization Science,2009,20(4) : 685–695. Romanelli E, Tushman M L. Organizational transformation as punctuated equilibrium:An empirical test[J].Academy of Management Journal,1994,37(5) : 1141–1166. Schriber J B, Gutek B A. Some time dimensions of work:Measurement of an underlying aspect of organization culture[J].Journal of Applied Psychology,1987,72(4) : 642–650. Shi W L, Prescott J E. Rhythm and entrainment of acquisition and alliance initiatives and firm performance:A temporal perspective[J].Organization Studies,2012,33(10) : 1281–1310. Smith W K, Tushman M L. Managing strategic contradictions:A top management model for managing innovation streams[J].Organization Science,2005,16(5) : 522–536. Stettner U, Lavie D. Ambidexterity under scrutiny:Exploration and exploitation via internal organization, alliances, and acquisitions[J].Strategic Management Journal,2014,35(13) : 1903–1929. Vermeulen F, Barkema H. Pace, rhythm, and scope:Process dependence in building a profitable multinational corporation[J].Strategic Management Journal,2002,23(7) : 637–653. Zaheer S, Albert S, Zaheer A. Time scales and organizational theory[J].Academy of Management Review,1999,24(4) : 725–741.